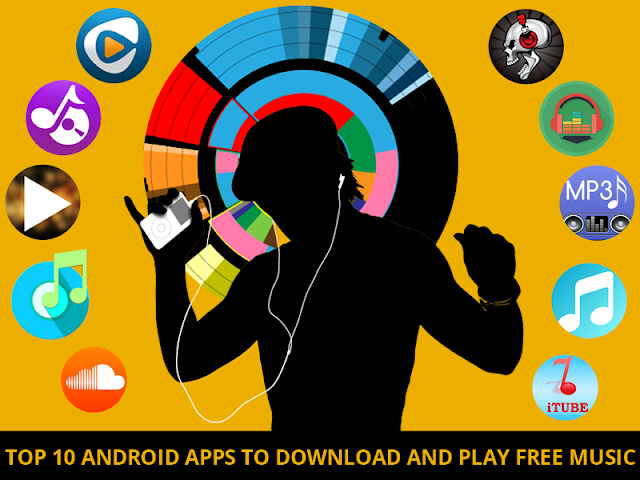 Looking for best free music download app for android? We have shortlisted some of the highly recommended music apps for you. 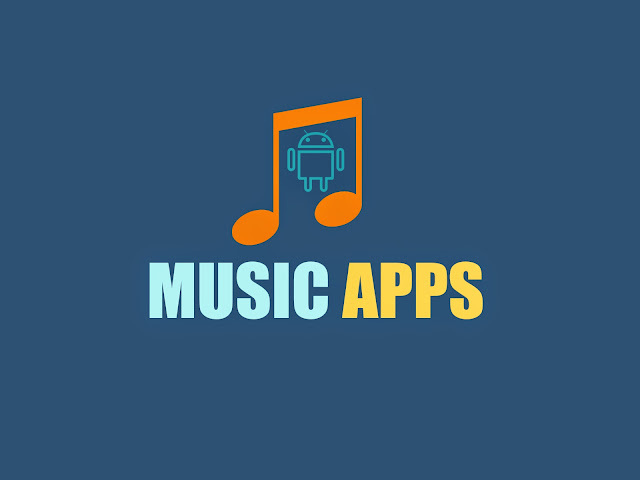 There are many nice android music apps that you can download and install from the app store, some of these apps also allow unlimited music download capability. Music is a passion that is truly enjoyed and savored by much of the world’s population. With the advent of the Internet and the smartphone, it is now possible to utilize a mobile app to listen to your favorite music. Music streaming apps like Spotify are widely available as well although you may need a VPN to unblock Spotify at school and work. The mobile app helps you stream and/or download music so that you can listen at your own pleasure. How can I download free music on my Android Phone? This article has a list of the most popular apps on the google app store that helps you download the music on your phone and listen to it offline. Let us look at the top Android apps to download and play free music from the Internet in this article. Which Music App Is Best? Quite honestly, It is really hard telling. Each App is unique in its own way. My favorite app is SoundCloud. However, you may like something else too. I would recommend you to try out some of these apps and see which one suits your needs best. Related Reading: Learn how to use Wondershare TunesGo to easily download free music to your android phone and manage your playlists. downloading music from the Internet. Rhapsody allows you to download millions of songs and comes with several features such as ad-free and high-quality audio along with advanced artist and song radio. Additional features include audio EQ, sleep timer, artist videos, and more. You can even create your soundtrack and build playlists for your every mood. In case there is no connection, you can play previously downloaded music to listen offline anytime. The user is given an opportunity to play radio based on any artist or song. This app was recently featured in Dreamy Tricks's list of music download apps too. Anghami is one of the best android music app that supports unlimited downloads. Anghami allows you to play millions of Arabic and international songs FREE on your device. You can easily share music with your friends and discover amazing tunes with the help of a personal DJ. Two versions are available – 1. The free version (Anghami Free) and 2. Subscription (Anghami Pro). With the pro version, you can even obtain offline access anytime, anywhere while carrying your downloaded music without Internet or 3G/4G connection. The pro version also allows unlimited download and you can download as many tracks as you want. There are no ads in the Anghami pro version. Blur Music Player allows you to add color to your life with a fast and simple music download solution. This app claims to be the fastest solution for any MP3. It is a stable search engine and has a portable and understandable design. With the lowest permission needed, it can be used to download any music. Gtunes is the new version of the old “Gtunes music download” It is faster and better that the previous version. This version is 100% free and does not include any notification bar ads, notification ads and also does not include any desktop search icon. Once the user has found the site to listen to all the songs, they can also batch download all found songs. Millions of songs are available and the app allows the direct download to your SD card. Batch download of all found songs. You can also follow friends and artists to hear what they share. Besides browsing tracks by genre, you can listen to the stream wherever you are using WiFi or data. You can also play, pause, and even skip tracks from the lock screen, while geo-tagging recordings with location information. This is an MP3 music downloader that allows you to download and play any number of mp3 songs from online websites. The MP3 music downloader is an amazing free application that lets you download and play any number of mp3 songs from online websites. This application is absolutely free without any download restrictions. You can play and download any number of legal mp3 songs directly from the Internet. This free application comes with many power packed features such as song preview for downloading, feature-rich music player, touch functions for controls such as skipping tracks and quick rewind/forward, repeat/shuffle/playlist repeat functions, background music playback, and album art. Also included are lyrics viewer, artist/song/album info editor, and drive friendly touch control mode. Moreover, the app also incorporates a sound equalizer for better audio control, sleep timer and AB music loop, while also allowing Facebook/Twitter posting. This is a simple yet very powerful app that can download MP3 music from the Internet. According to some users, it even has the ability to download music from YouTube. This is yet another MP3 downloader app that allows download of copyleft and CC licensed MP3 files so that you can enjoy free and legal music. This app searches and downloads music for free directly to your mobile device. It easily searches music engines and allows you to search by song/album title. You can easily set ringtones and alarms and the possibilities of such are endless. Also, you can create your own playlist or compilation with all your favorite music tracks. You can even search by song, album title, or artist name, therefore displaying results that you can listen before you download the song. It can find every kind of music ranging from pop and rap to rock and jazz. Display results to listen to prior to downloading. features of this app are – search by artist or song name, preview and save mp3 and save online lyrics. You can set as ringtone, notification or alarm, and also add to playlist your favorite songs. However, you need a fairly good internet connection for this app. This app allows you to download all creative commons licensed music absolutely free. The music is downloaded into Android folders where it can be kept forever. In fact, you can actually delete the app after downloading all your music and clean space without losing the songs. FrostWire - Torrent Downloader - It can download torrents. That includes MP3 and video as well. Free MP3 Music Download - Yet another music download app with a lot of ads. Which Song Download App Do You Use? Did you not see your favorite song download apps on this list? Please share with us in the comments and we will be glad to evaluate and add it to this list. Updated on September 2016: Added 3 New apps for Music Download. Updated on Feb 2018: Added more details and fixed links. Updated on March 2018: Minor updates and fixed links. Updated on July 2018: Minor updates and fixed links. Kimber Johnson is the co-founder of Pacific App Design, Kimber has a vast experience of more than 16 years in the field of Web & Mobile app development, graphics design, marketing and advertising.